Exciting - Best of Philly! 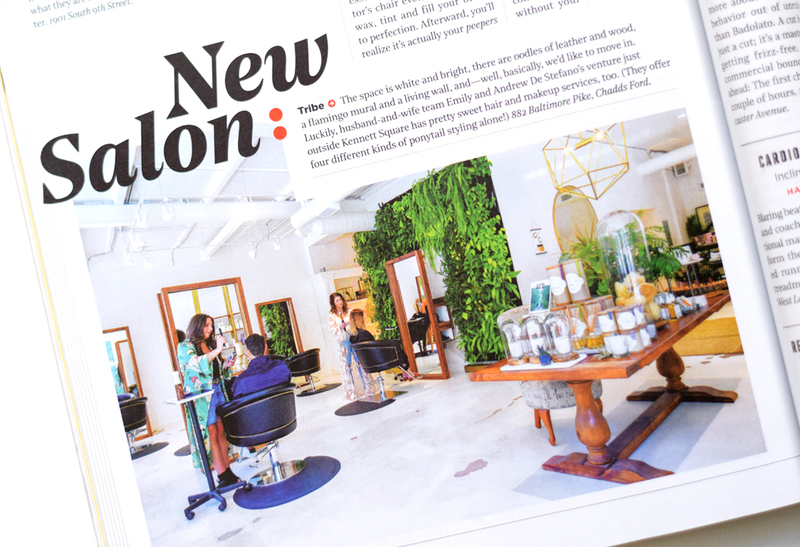 Tribe is honored to have been named Philadelphia magazine's Best of Philly® 2017 - Best New Salon! 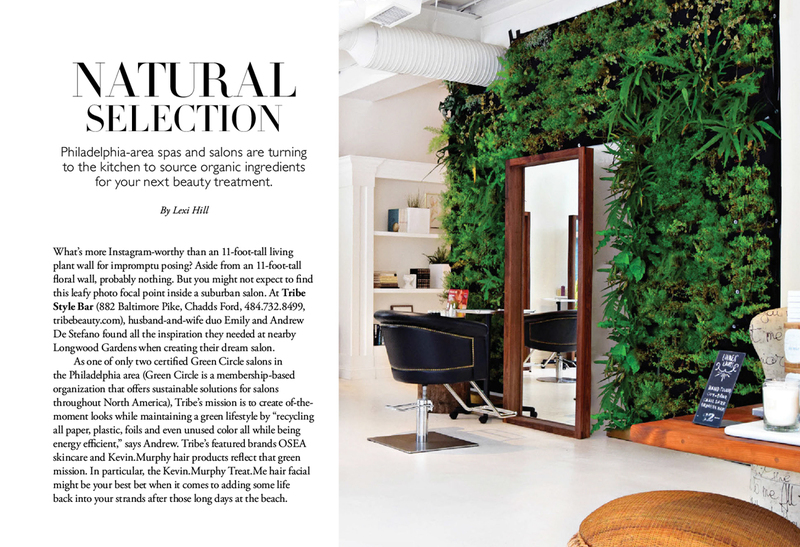 We recently spoke with Philadelphia Style magazine about our eco-friendly space, ingredient-conscious products, and health-forward services for their fall issue. Behind the scenes as Tribe puts together hair and makeup for a winter-styled wedding shoot with Kelly Giarrocco Photography and Kate Farley Design. We offer parking directly in front of our shop. We are located next to the Brandywine River Antiques Market and Mushrom Cafe in historic Chadds Ford. Our space is also availble for special events and parties. 11am-5pm. We are closed Sundays. Appointments upon request on remaining hours. Sign up and get the latest on sales, promotions, events and more!